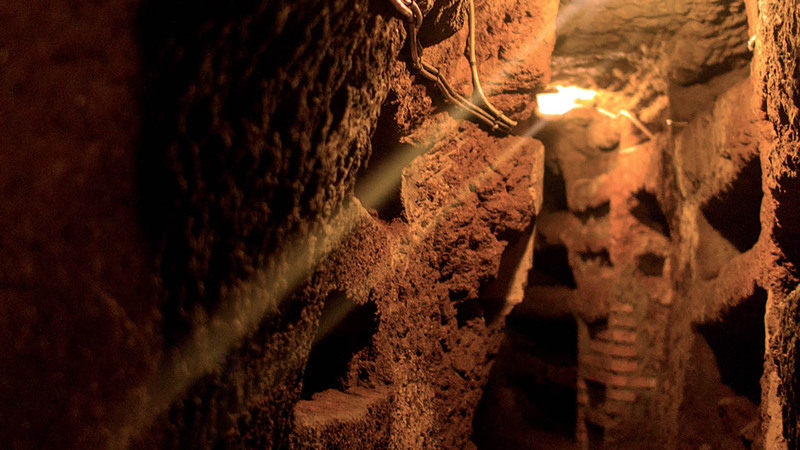 For the first time ever, we’re taking you inside Rome’s Catacombs after hours, for an experience you’ll never forget. Religion, art or obscenity? 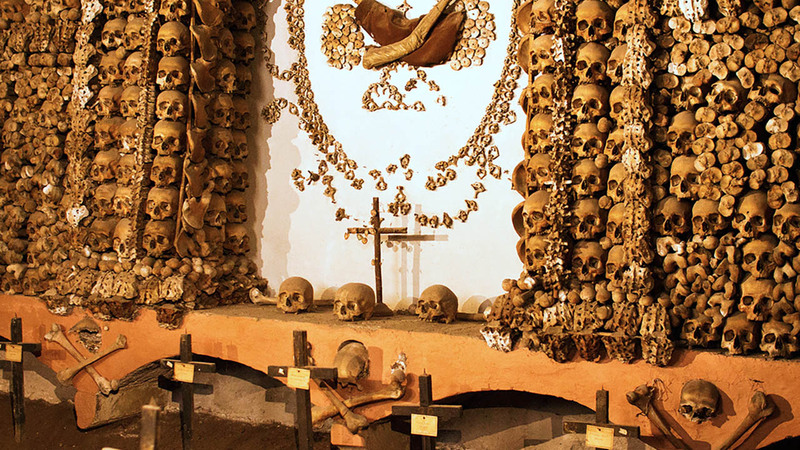 Make what you will of the Capuchin ‘Bone’ Crypt, decorated with the remains of 4,000 monks. With transport between sites, we take the hassle out of your Rome Catacombs after hours tour, returning you to the city center in time for dinner. The Catacombs of Rome make for an incredible visit. Hidden beneath the city, these maze-like graveyards were created by Rome’s first Christians during a time when their religion was heavily persecuted. They can plunge six stories down into the ground and once held the remains of saints, martyrs, and thousands of early converts. Visiting today, however, the catacombs may not feel as secretive as they once did. Rome Catacomb tours are becoming increasingly popular. And as the foot traffic rises, so does the noise level. 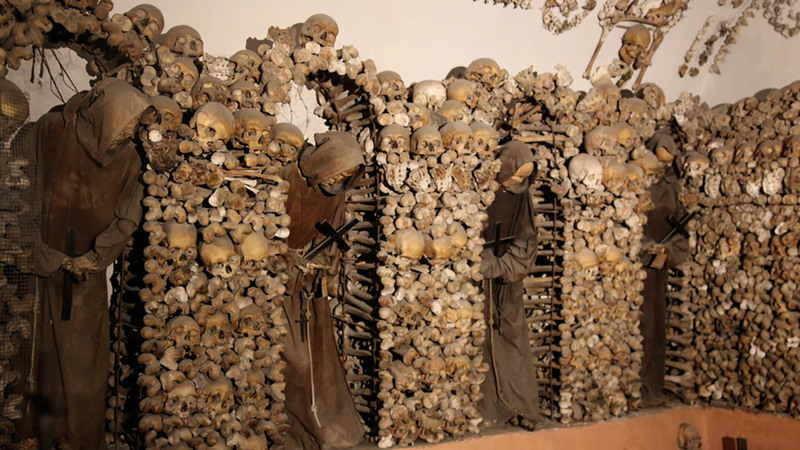 That's why we're offering the first Rome Catacombs after hours tour. With only Walks of Italy groups inside the catacomb, your visit is guaranteed to be intimate and mysterious. Your guide will be easy to hear and interact with and the Catacombs themselves will be transformed. 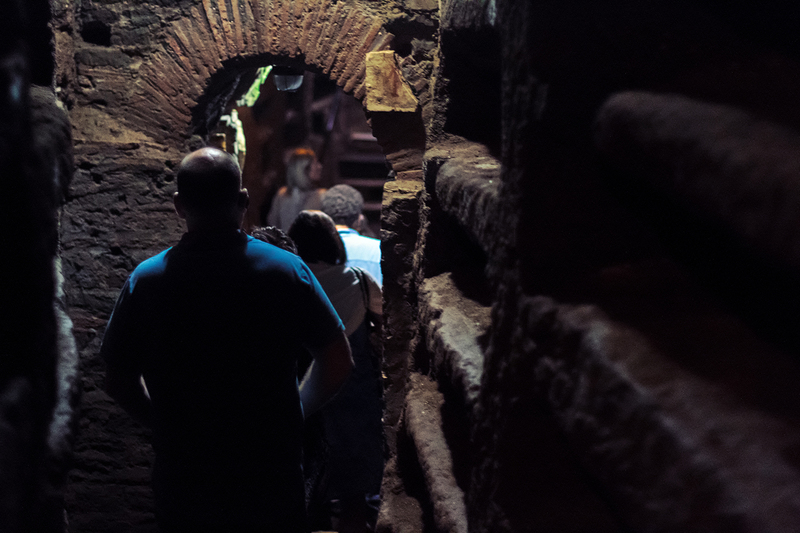 Step back in time 2,000 years with an unforgettable experience of Rome’s hidden history. 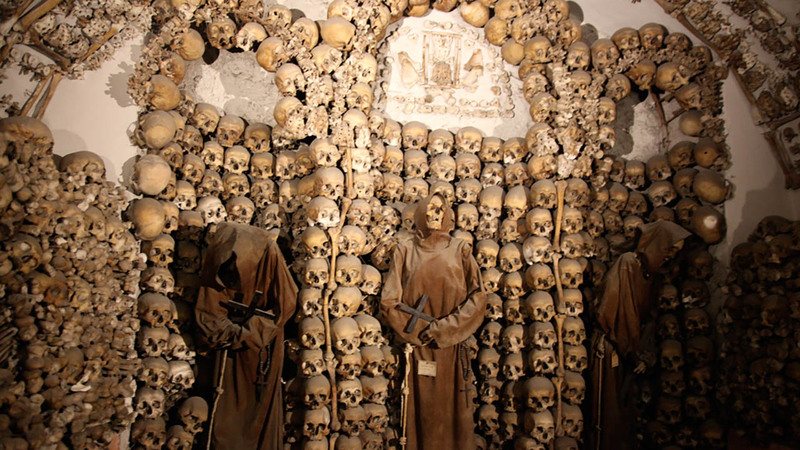 Your Rome Catacomb after hours tour starts at the Capuchin Crypt; an incredible series of rooms decorated with the bones of 4,000 monks. There are light fixtures made from spinal bones, a coat of (real) arms, and a few full skeletons still wearing their monk’s robes. Included in your ticket is the Capuchin Museum, where your guide will point out a disputed Caravaggio and some strange mementos of monks. Then you’ll board a private vehicle for the journey across town to the highlight of our tour. Our Rome Catacombs Night Tour has exclusive nighttime access to the incredible Catacombs of San Sebastiano. Apart from their historical and religious significance, they're also one of the most atmospheric – especially when you’re there alone! Headsets don’t work underground so you’ll be particularly grateful for the peace and quiet (and for your small group of only 18 people or fewer) as you follow your guide through the winding underground passages. One thing is for sure: It will be an experience you won’t soon forget. Our guide was so personalble and really brought the subject matter to life by how she conveyed the information. I do wish she could have given the catacombs tour (instead of their tour guide) as I truly wanted to hear how she would have explained things. We are grateful to have her as our guide. Our tour was seamless and our guide very well prepared! Thank you! Sites on this itinerary include holy places, and attire must be appropriate for the visit. Both men and women are asked to wear clothing that covers at least the shoulders and knees. Walks of Italy cannot be held responsible for denied entry due to improper dress. It is sufficient to bring extra coverings with you and put them on before our entrance to the holy areas. This tour visits underground passages and is therefore not appropriate for guests who suffer from claustrophobia. Photography is not allowed in the sites visited on this tour, due to their religious nature.